Rosh Hashanah is in just a few weeks! Menus need to be planned, groceries need to be shopped for and meals need to be made. A lot of people look for new and interesting recipes around this time of year but may not know where to start. 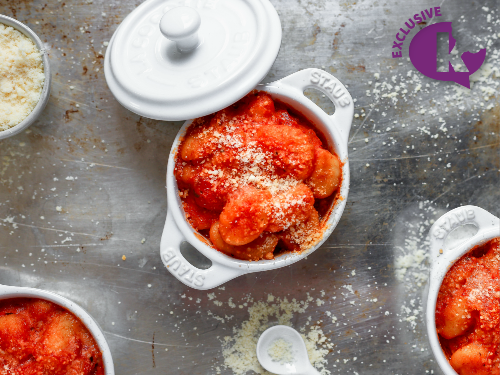 If you are looking for a change up from your regular pasta and grain side dishes then I have something perfect for you- Gnocchi! Gnocchi are soft, pillowy, little dumplings made from potatoes and flour and are so super simple to prepare. They are also faster to put together than a pasta or rice dish because they cook in 3 minutes or less! Once you see the little potato dumplings rise to the surface of your boiling water, you know they are done. No need to measure any water or put on any timers because they will tell you when they are ready. 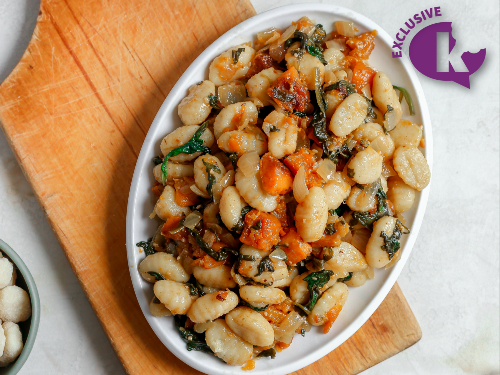 Gnocchi are also super versatile and can be added to any kind of sauce or served alongside roasted vegetables. 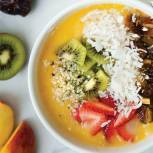 You can serve them immediately or make them way in advance and keep them in the fridge until you are ready to serve. They reheat easily without losing any kind of texture and can be served at room temperature as well. Basically they are the perfect easy side dish to add to your Rosh Hashanah or Sukkot menu, and luckily you have 3 great recipes here to try! Gnocchi potato dumplings with warm butternut squash and spinach in a white wine sauce. An easy and flavorful side dish for any occasion. Bring a large pot of salted water to a boil and cook the gnocchi according to the package directions. Drain and set aside. Preheat your oven to 425 degrees Fahrenheit and line a sheet tray with Gefen Easy Baking Parchment Paper. In a medium sized bowl, mix the diced butternut squash with two tablespoons olive oil, one teaspoon salt, chili powder, and brown sugar. Arrange the mixture on the sheet tray in an even layer and bake for 25 minutes or until the butternut squash is browned and crispy on the edges and cooked through. Remove and set aside. Meanwhile heat the other two tablespoons of olive oil over medium heat in a large skillet. Add the diced onion and last half teaspoon salt and sauté for three to five minutes until soft and translucent. Add the minced garlic and sauté for one more minute. Add the white wine, bring the heat up to boil, then reduce to low to simmer for two minutes. Add the baby spinach and cook for two more minutes until wilted. Add in the butternut squash to the skillet and stir. Add the gnocchi to the vegetables and cook until heated through. 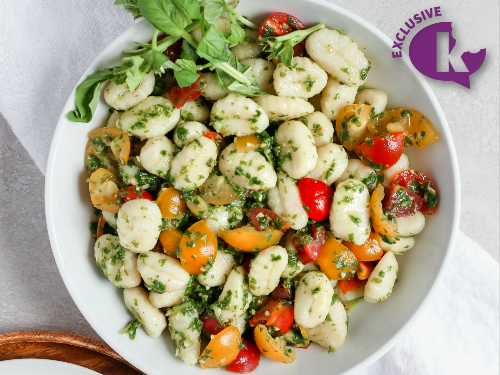 Gnocchi potato dumplings become a fresh pasta salad when paired with homemade pesto and juicy tart tomatoes. The optional Parmesan cheese takes this dish over the top. Bring a large pot of salted water to a boil and cook the gnocchi according to the package directions. Add basil, garlic, vinegar, and salt into a food processor or blender. With the processor running on low- medium speed, pour the olive oil in, in a steady stream and continue to process until well blended. You may need to stop the processor to scrape down the sides a couple times. In a large bowl, add the gnocchi, pesto, and sliced tomatoes. Note: Best served at room temperature. 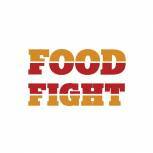 Variation:To make dairy, garnish with parmesan cheese, or add fresh Mozzarella to the salad. This dairy indulgence is gnocchi at its best. Preheat your oven to 375 degrees Fahrenheit and grease an eight- by eight-inch pan or four ramekins with baking spray. Bring a large pot of salted water to a boil and cook the gnocchi according to the package directions. Drain, reserving half a cup of the salted water. In a large skillet, add the olive oil over medium heat. Add in the diced onion and salt, and sauté for three to five minutes until soft and translucent. Add the marinara sauce and sugar, and stir till heated through and mixed well. Reduce the heat to low and add in the half and half. Stir until combined. Add the cooked gnocchi plus reserved water to the skillet. Stir to mix well. Pour the gnocchi into the baking dish/dishes. Sprinkle with Parmesan cheese. Bake for 10 minutes. Note: If the gnocchi is ready before your sauce is, simply drizzle them with olive oil to keep from sticking together. 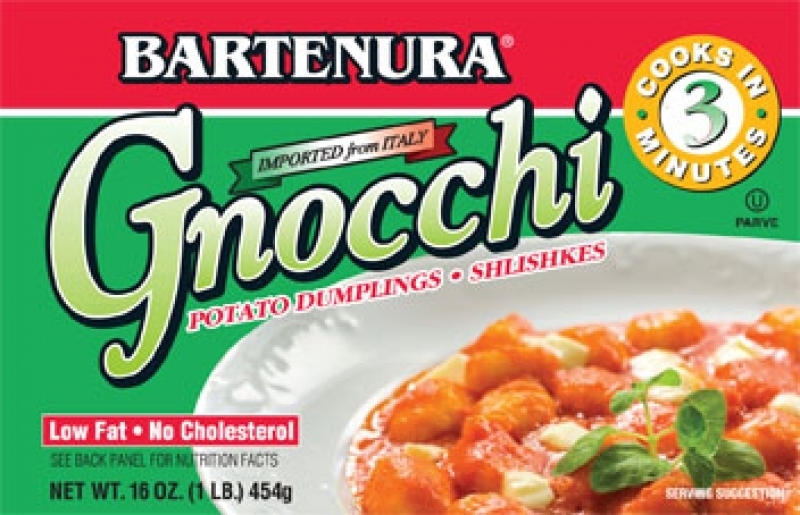 Tip: To place the gnocchi in boiling water without burning your fingers, take a piece of Gefen Easy Baking Parchment Paper, and place the gnocchi on top. Then lift both sides, bring them together and slide the gnocchi into the water!